When people hear the word “zest,” they may first think of lemons. In psychology, zest and vitality are a combination of the physical sense and the psychological sense of feeling well. Zest is about exhibiting enthusiasm and feeling energized. But zest doesn’t need to be loud—the quiet, introverted artist can approach her latest project with zest, even if she is alone in her studio. Most kids have enthusiasm for something. In school, we can work to find what that something is and be sure not to extinguish it as kids get older. 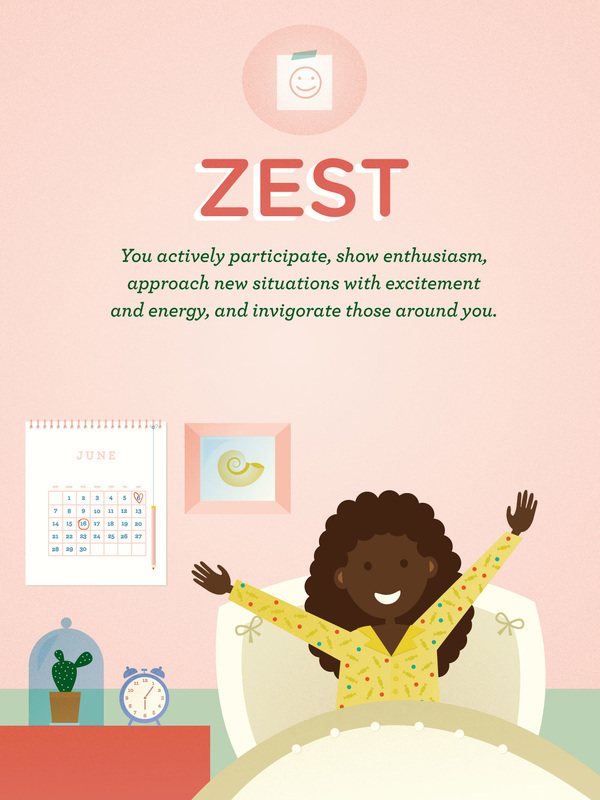 Zest may look like extroversion, but anyone can exhibit the behaviors of zest, regardless of their normal tendency to be introverted or extroverted.